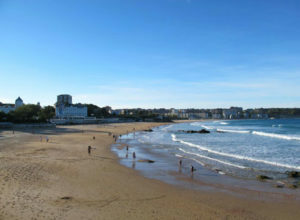 This section of the Camino del Norte, the Northern Camino de Santiago, starts in the Basque city of Bilbao and finishes in the pretty coastal city of Santander, in Cantabria. 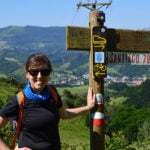 This Camino route is full of Northern delights, as you will be walking in the Basque country, one of Spain’s foodie capitals. 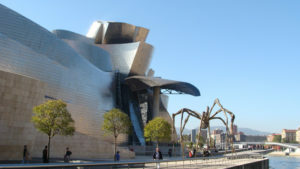 Explore the old town in Bilbao, visit its magnificent Guggenheim Museum and taste delicious ‘pintxos’ before you head West towards Santander following the coast. Along this section of the Camino del Norte you will pass lovely sandy beaches and craggy bays, stopping in quaint seaside towns for the night. 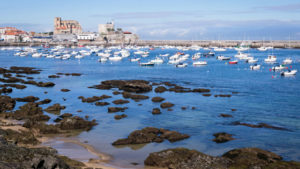 This is an area of outstanding natural beauty and the contrast of modernity and tradition give the route a unique character and charm.The North coast in Spain is renowned for its cuisine so get ready to treat your palate to an unforgettable gastronomic Camino journey. This tour will delight you with amazing coastal scenery as well as cultural experiences. After your night in Bilbao, you will resume following the Camino de Santaigo trail as it leaves Bilbao. The trail crosses a suspension bridge and travels along a peaceful route on the banks of the Cadagua River. You will cross the famous ‘Devils’s Bridge’ before arriving at the Hermitage of Santa Águeda. 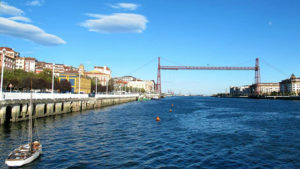 After this, there is a steep climb to the small town of Barakaldo before arriving in Portugalete via a path along the banks of the Galindo River. After your night in Portugalete, the Camino, continues along the beautiful rocky coastline. At La Arena you will cross the wonderful beach of fine red sand. There are some steep little climbs as you hug the coast on your way to Castro Urdiales. Castro Urdiales has a good mix of modern and medieval architecture and as you enter the town you will pass the bullring and the beach. 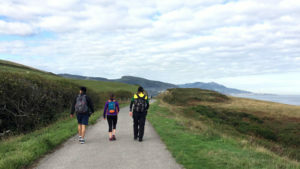 After spending the night in Castro Urdiales, the Camino will take you along the breathtaking coastal cliffs of the Cantabrian Sea, passing a medieval castle/lighthouse along the way. You will also pass the Chapel of Santa Isabel and also the Church of La Magdalena on the way to Liendo. Here you are presented with two route options for the rest of the stage to Laredo. You can either take one route across the valley, passing the Church of Nuestra Senora de Liendo in Hazas or you can take the alternative route, climbing to the Chapel of San Julián on the way to Laredo. Laredo itself is famous for its magnificent beaches, energetic atmosphere and the medieval quarter (Puebla Vieja). After your night in Laredo, your walk today will be mainly flat but with scenery that is nonetheless fantastic. 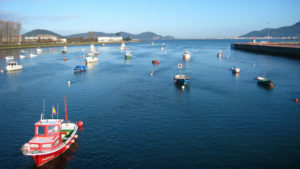 From Laredo, get the ferry to Santoña, before continuing along the coastal path to Noja (14km). Alternatively from Laredo you have the option to follow the inland route which is a bit more challenging (23km) but equally as beautiful. Pass through the towns of Colindres, Escalante and Barrio de Castillo where you can take in the beautiful views of the mountains and the coast before reaching Noja. 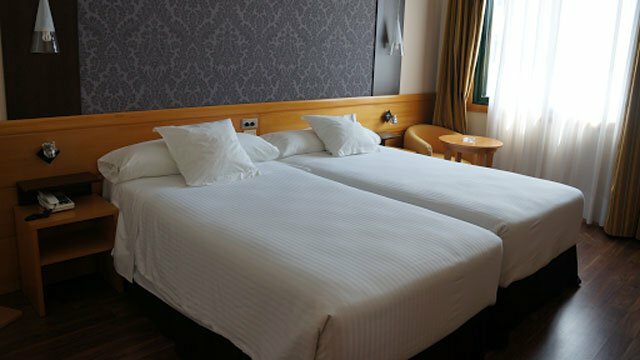 After your night in Noja you will continue to San Miguel de Meruelo. In Bareyo you will find the magnificent Romanesque Church of Santa María. From Galizano to Somo, you can either take a straight road into town (saving 2km) or follow the coastline which is a longer option but very scenic. To reach the final destination of Santander, you can take a traditional boat called ‘Pedreñera’ across the bay (saving you approximately 3.5km), from the village of Somo (Not included, 2Eur, www.losreginas.com/). 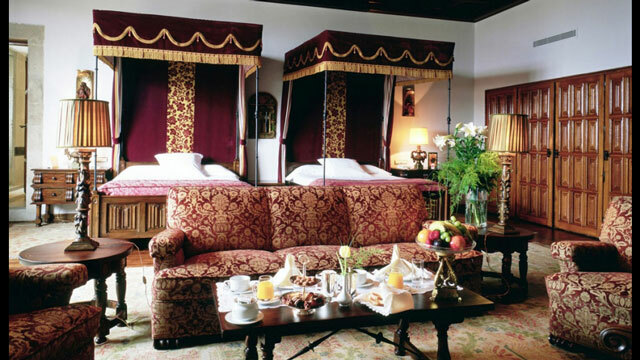 The capital of Cantabria, Santander is an elegant city with plenty of beaches, parks, nature, architecture and great food.